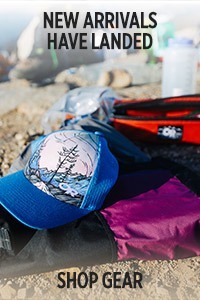 Outdoor adventures are all about having fun, so it's about time you start looking like it. 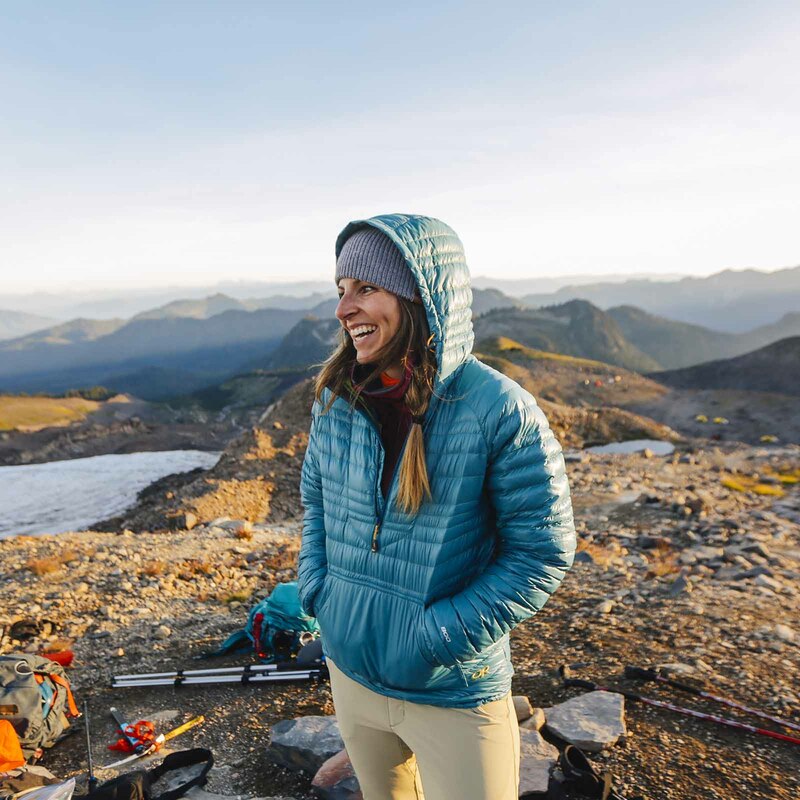 The Down Baja Pullover is our homage towards sunny beaches and bluebird skies, even if you're stuck in a shiver bivy at 10,000 feet. 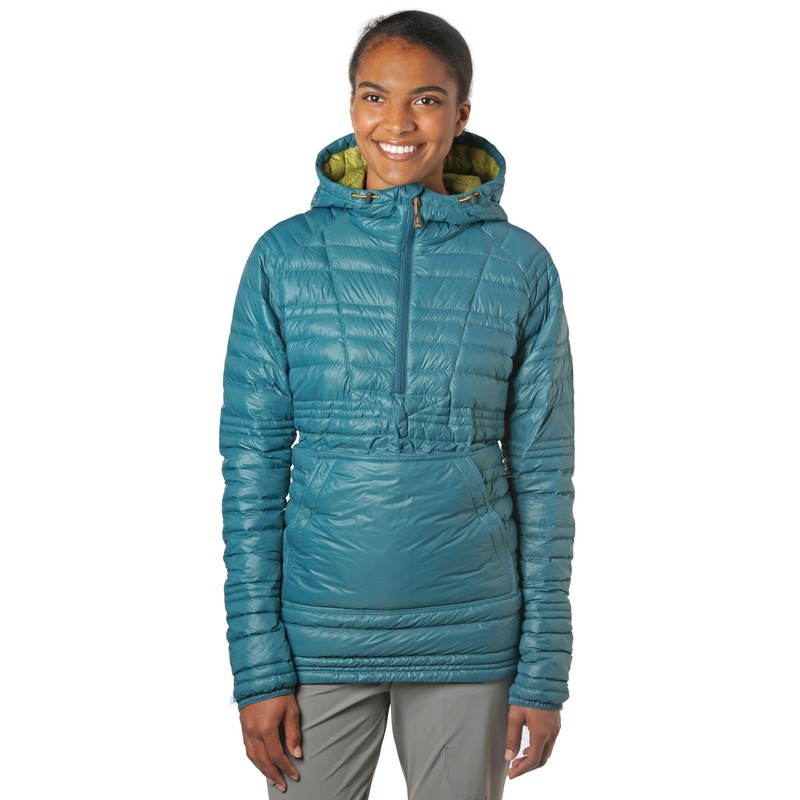 A kangaroo pocket, quarter front zipper, and left side zip for easy on and off add utilitarian details that accentuate the Down Baja's head-turning colors and spiffy style. 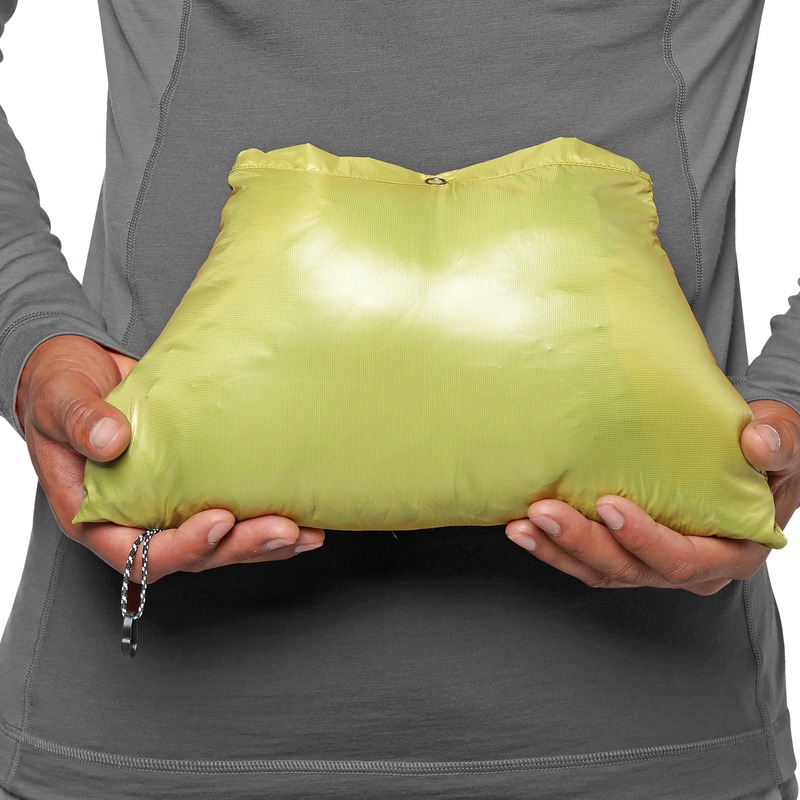 It even packs into its own internal chest pocket for an instant, compact stuff sack you can cart around anywhere. 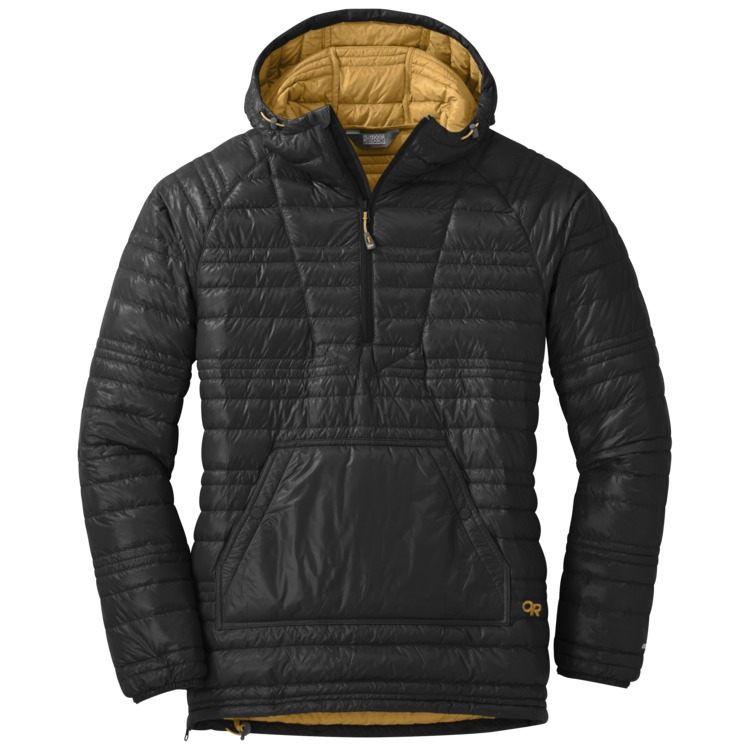 Packed with the same trustworthy 800-fill responsibly sourced down insulation you'll find in technical jackets, but with design features that scream "Party Pullover," this piece is sure to sit at the top of your gear-grab pile. I don't usually buy pullovers but I LOVE this one especially with the side zip. I love this pullover. My boyfriend calls it my sleeping bag. I wear it to work as a casual piece (dress code at my work is very informal), at home after work and even on a few SUPER cold ski days in Colorado this year. This piece is super versatile and extremely handy for mountain living. Also, fit is true to size. I'm 5'9 148lbs and I bought the Medium and it fits pretty well with still plenty of room for layers underneath. If a little boxy but I don't mind as it does the job. I've worn it everyday since I received it. Love it. I love this jacket. 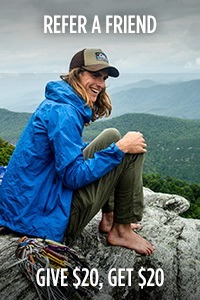 I've been waiting for a lightweight down pullover from OR, so I didn't have to buy one from a certain other outdoor apparel brand. Sizing definitely runs big. 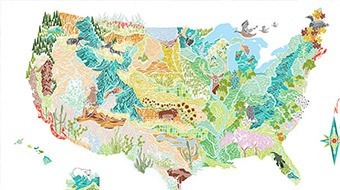 At 5'6" and 145 pounds, I generally size out at a medium, but small is the right size for this piece. 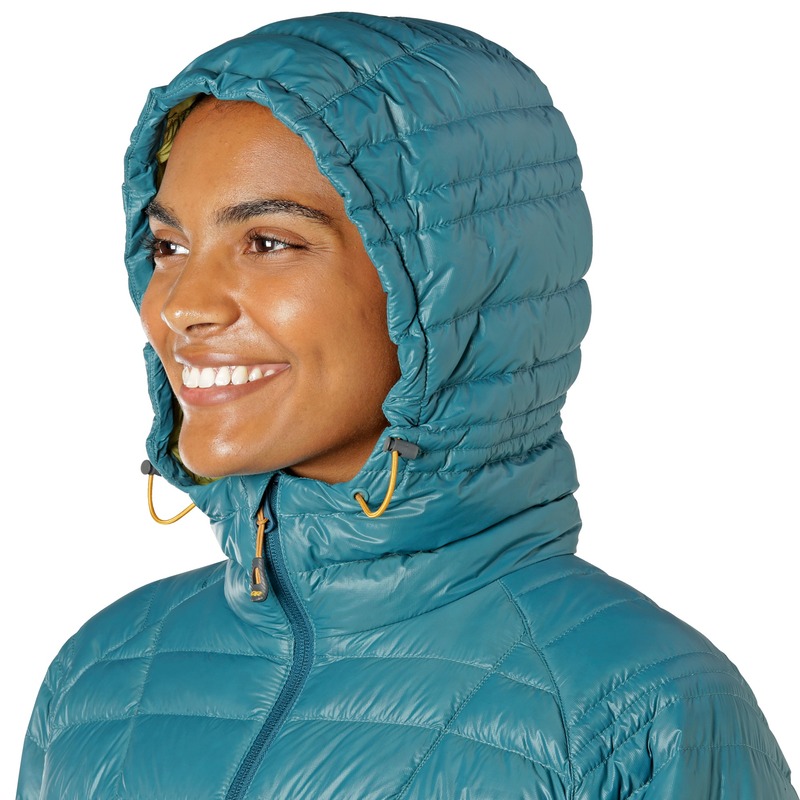 I saw a fella walking down the street in the greenish color like I got, so it makes me wonder if the women's sizing is actually more like men's sizing in this item? 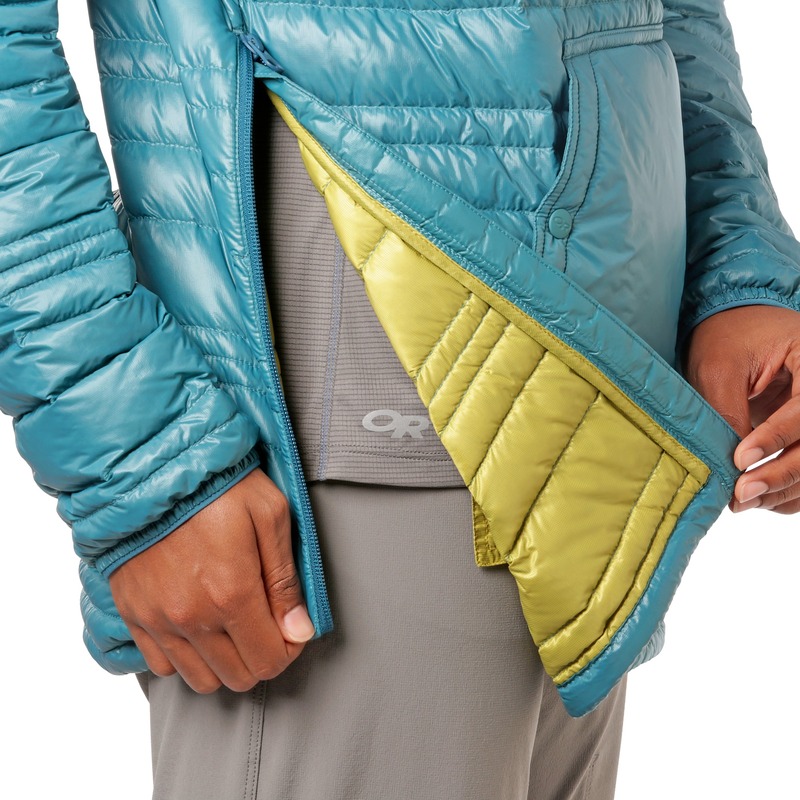 The fit of this jacket is boxier than I would have preferred. I considered returning it, however decided to give it a try. 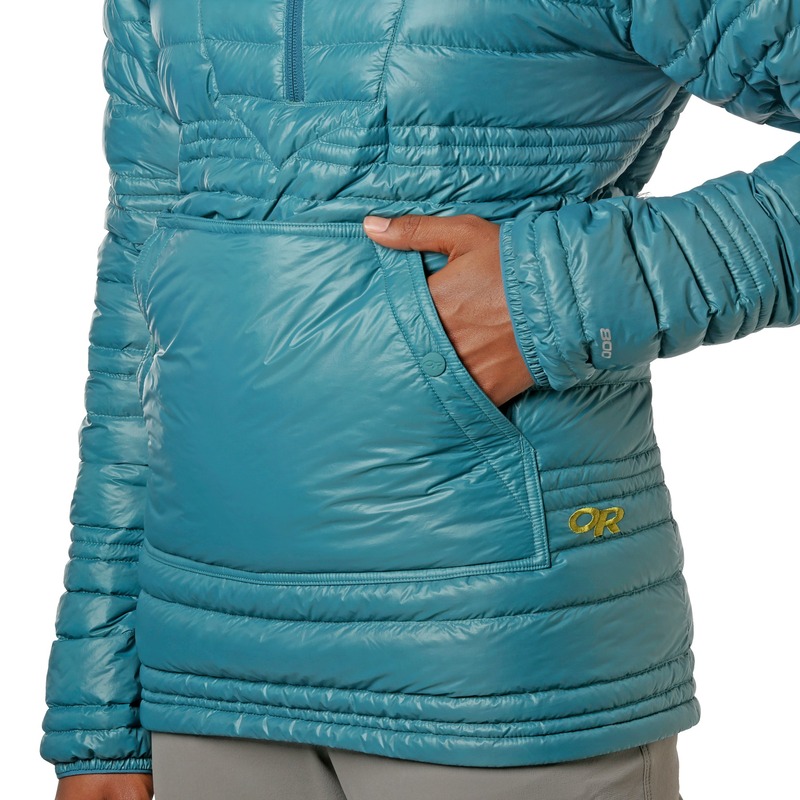 Despite the fit, I love this jacket - the small size is amazing for layering under other jackets; I could hardly tell I had it on. I used it as a layer in the backcountry for snowmobiling and actually had to take it off because I was too warm. Threw it back on when we stopped for a break and warmed right up. I'd highly recommend this jacket. I'm 5'7" and generally medium in size. I purchased a medium and probably could have gone to a small, however to be on the safe side the medium is just fine. 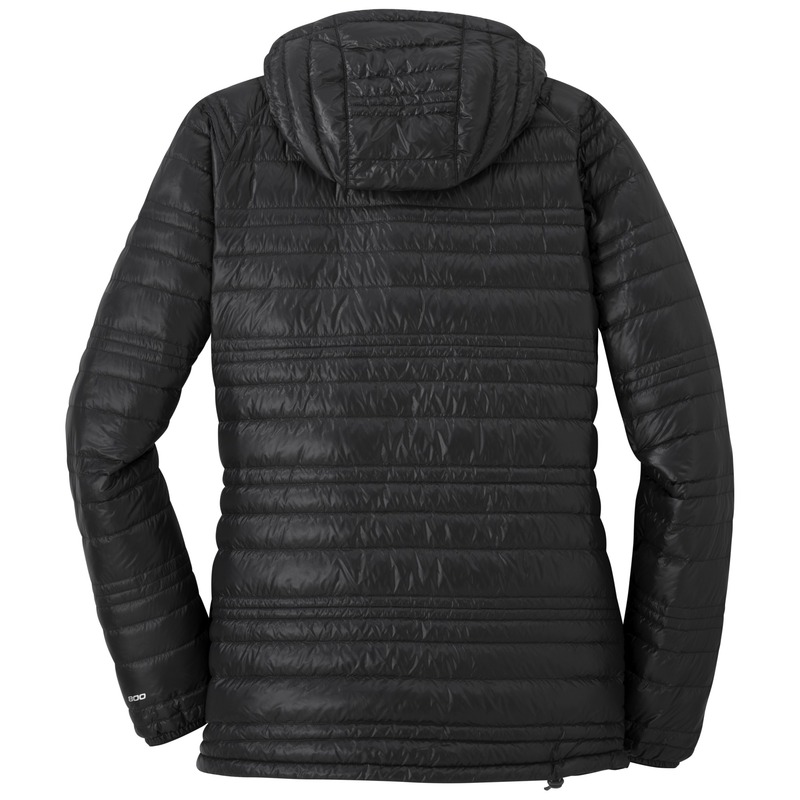 I think a few reviewers saw the 800 fill and expected a beefy coat. This is a perfect mid layer under a hardshell or on its own on a chilly but not subzero belay. I'm petite and the xs is perfect, arm length hits below my wrist and end below my harness so it doesn't ride up. It's not bulky so I can move. The interior of the pocket is a little fuzzy on one side and keeps my hands warm. I very much would like the green and zin one in xs. I hope OR offers this great color again soon. 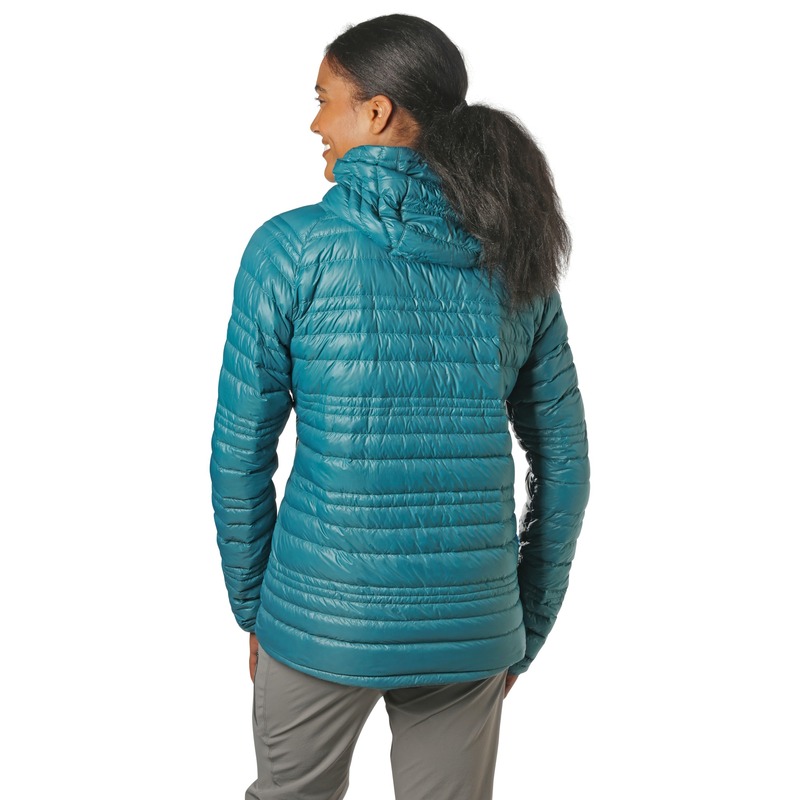 Jacket Is light weight and very comfortable! Went for a walk in the winter with just a thin long sleeve underneath and stayed warm against the cold and wind. I have worn this jacket everyday since my purchase! On sub-zero days it's my second layer between the base and the wind layer. 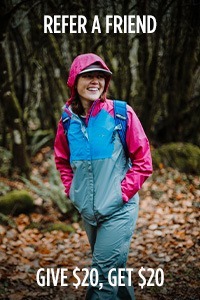 On warmer, dry days it's my outer layer. I was so so so excited to receive this jacket in the mail. 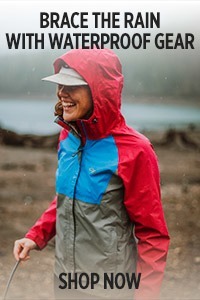 I had been looking to upgrade my old REI down to a warmer and lighter version for months, and finally landed on the Baja Pullover. The biggest perk of this jacket is by far the weight. My XS feels almost weightless and it so comfy to wear. Unfortunately, there is not a huge quantity of down between the sewn baffles so I doubt it'll be as warm as I had originally hoped. It also felt too large for my frame, despite ordering the smallest size available. I'm 5'2" and found that the sleeves drooped too far below my wrists and the torso area was pretty bulky. 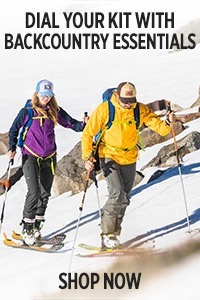 Petite sizing seems to be a problem at many outdoor gear companies, so expect the same here. 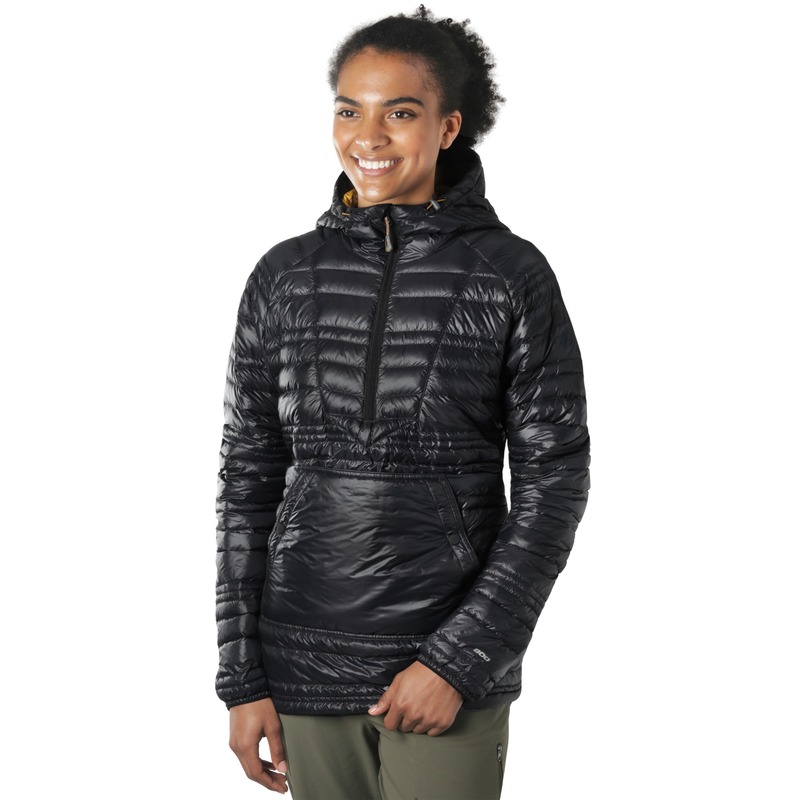 This is a great piece to have for sure in your closet it's small light and super warm I wear it all the time! The only thing bad I can say it's that it's slightly boxier than it needs to be. But I find that with most OR jackets, arms & length are great though! Just slightly more fitted could be nice. 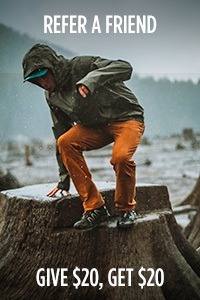 Thanks OR for making great functional gear!